It is often said that women play no part in ‘The Life’. As can be seen in a previous piece I wrote for the National Crime Syndicate, Ladies of the life, this is not entirely true. I have chosen to take a closer look at three more such women, who not only played a part but were, whether good or bad, an integral part in their respective families. The three women I will be featuring are/were a part of Italian mafia organisations; the Calabrian ’Ndràngheta and Neopolitan Camorra. Giuseppina Pesce, Erminia Giuliano and our first lady is Assunta ‘Pupetta’ Maresca. Assunta ‘Pupetta ‘(little doll) Maresca, nicknamed so due to her small stature and attractive features. Features that would lead on to her being crowned Miss Rovegliano (a village in Naples) in 1954 when Pupetta was just 19 years old. Pupetta was born in Castellammare di Stabia on January 19, 1935. Her father was none other than Boss of Castellammare, Vincenzo Maresca who was also head of the ‘Lampetielli’ family – the ‘Lightning Knives’, so called due to their expertise with a switchblade. One can only imagine with her fathers’ position, along with having four brothers, growing up in that household must have been difficult where dating was concerned. Indeed, it would have been impossible for Pupetta to marry an ordinary man. Enter Pasquale Simonetti aka Pasquale é Nola, a Camorra boss, born 1926 at the foot of Mt. Vesuvius in a disadvantaged village in the province of Naples called Palma Campania. 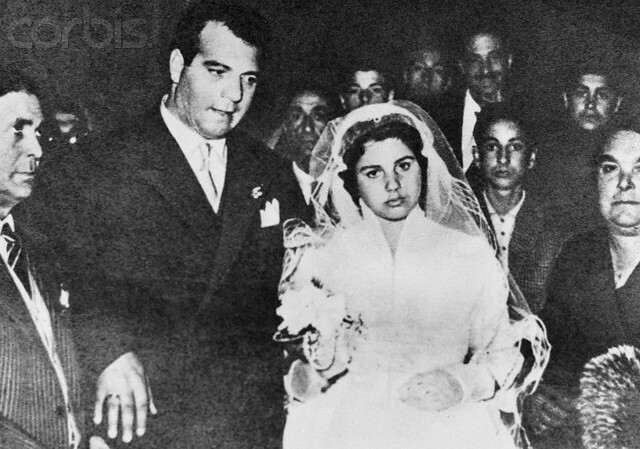 Pasquale Simonetti and Assunta ‘Pupetta’ Maresca became married on April 27, 1955 at the Pontifical Shrine of the Blessed Virgin of the Rosary of Pompei, at a wedding that was like a fairy tale, with hundreds of guests, as one can imagine there was also a lot of food. Even the townsfolk of Palma Campania turned out to wish them well, and just like a scene from ‘Goodfellas’ when Henry Hill married Karen, many gave them the traditional envelopes stuffed with money. 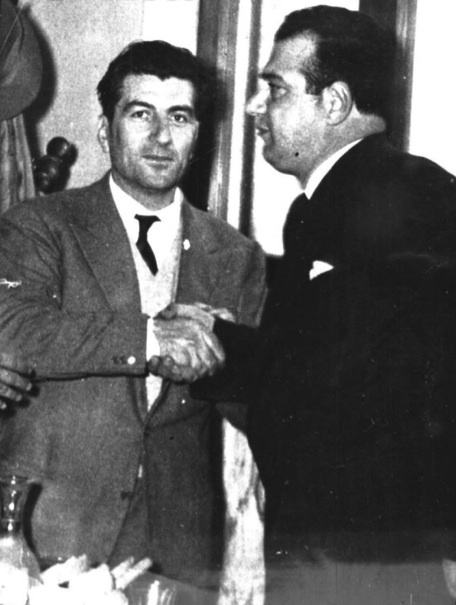 It was suggested that Simonetti is the one rumoured to slap none other than Lucky Luciano around the face at a horse race meeting at the Agnanao Racecourse, however, this is said to be Francesco Pirozi one of Camorra boss Alfredo Maisto’s men. Before meeting Pupetta, Simonetti was heavily involved in cigarette smuggling, however, due to a few spells in prison and armed clashes involving rival gangs he decided to quit the smuggling game and partnered up with another Camorra boss, Antonio Esposito aka Totonno é Pomigliano, in the lucrative fruit and vegetable business. The business would soon change though as in the mid 1950’s, the main food producers opened offices in Naples and started to bear the market, forcing dealers and peasant farmers to sell below cost. The Camorra saw the profits dwindle almost overnight, and it also led to the Camorra only controlling the business between the smaller farms and retailers. This left Esposito with no other option than to clear the field, so to speak, and take those out that were demanding the lions share. On July 16, 1955 a mere 80 days after his marriage to Pupetta, Simonetti was shot dead by Gaetano Orlando under the orders of Esposito. 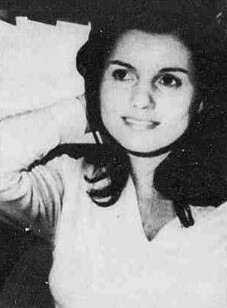 At the time of her husband’s death, Pupetta had entered the third trimester of pregnancy with Simonetti’s future son and heir. Not only did Pupetta want revenge for her husband’s death she also wanted to exact it herself. So! On August 4, 1955; full of anger, armed and accompanied by her brother Ciro, along with their driver, they drove to the Grandone Café in the Via Novara, near to Naples railway station, and close to the spot where Simonetti was killed exactly and significantly 80 days prior. Sitting outside; drinking his morning coffee, reading a copy of Il Mattino was the man Pupetta was looking for, Antonio Esposito. She walked calmly over to him, then, from her handbag, proceeded to retrieve the Smith and Wesson revolver Pasquale had presented to Pupetta on their wedding day, she then opened a volley of bullets into Esposito. So enraged was Pupetta that when she had emptied her gun into Esposito, she grabbed her brother’s gun and continued to fill Espoito’s now lifeless, bloodied body with bullets. She then turned and walked away with her brother. Media interest was immediate, Pupetta becomes infamous within Naples and her life would never again be the same. Although, growing up, deep within the Camorra, one could say her life had never been conventional. Orlando was eventually sentenced to 30 years imprisonment for murdering Simonetti. “I would do it again!” the whole courtroom burst into loud cheers. In a historic move, the Court in Naples allowed microphones to be used for the first time in order that the crowds could listen to what was being said. Pupetta, who had argued in fearing for her own life and that of her unborn baby she acted in self-defence, was inundated with marriage proposals from enraptured suitors. A musician even composed a song in Pupetta’s honour called La legge d’onore – the Law of Honour. Following the trial, Pupetta was subsequently given a sentence of 18 years’ imprisonment. Her legal team appealed the length of sentence and at a later successful hearing at the court of appeal this was reduced to thirteen years and four months. Pupetta also gave birth to her first child, a boy, Pasquale Jnr. in prison. Then after six years, in 1965 Pupetta receives a pardon. 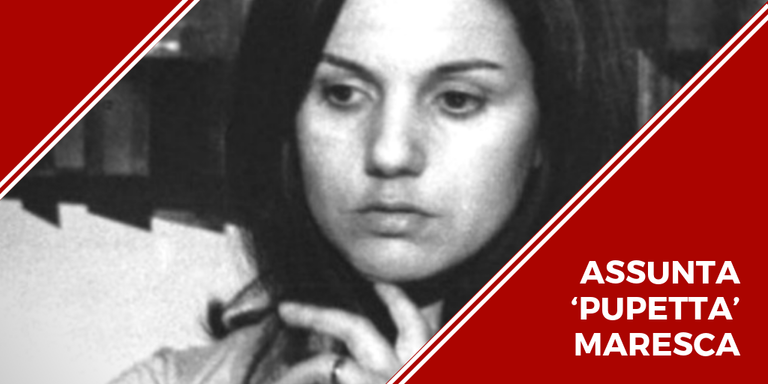 In 1967, Pupetta or “Madame Camorra” as she was termed, played herself in a movie based on her life, she also traded on her notoriety by opening two clothes shops in Naples. It wasn’t long before she’d be seeing another Camorra boss, Umberto Ammaturo with whom she had twins Roberto and Antonella with. Pasquale Jnr. who had ambitions to follow in his fathers’ footsteps from a young age and Ammaturo did not get on. Ammaturo, and Pasquale Jnr.’s father Pasquale Snr were rivals, this left Ammaturo worried about Junior’s intentions. In 1974, Pasquale Simonetti Jnr. was ambushed and though a body was never found they knew he had been murdered. Pupetta always felt Ammaturo was responsible but they stayed together in an uneasy relationship until, in 1982, at the height of the 1980-1983 war between the Nuova Famiglia (NF) headed by Carmine Alfieri and the Nuova Camorra Organizzata (NCO), which was headed by Raffaele Cutolo. Pupetta and Ammaturo who both followed NF, more so a member of the Casalesi family Antonio Bardellino, were arrested for the murder of forensic psychiatrist Aldo Semerari, for jumping sides, working for Cutolo in order to have him declared insane keeping him out of jail, a service Semerari provided previously to the NF. Ammaturo finally ended up in South America, while Pupetta faced the charges alone in Italy. After spending four years in prison Pupetta was released then in 1989 they were both acquitted due to lack of evidence. 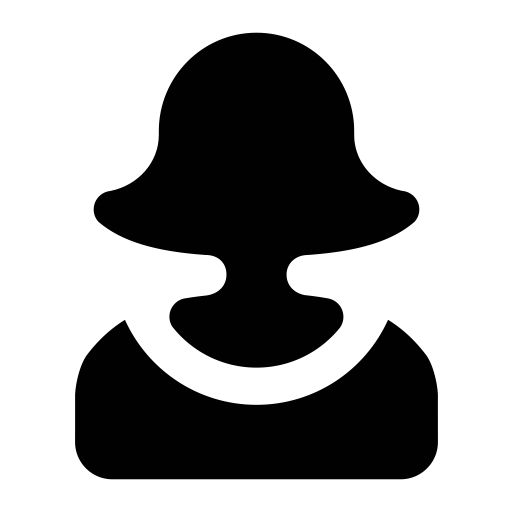 However, in June 1993 when becoming a pentito (informer) Ammaturo admitted to the murder. Even though Pupetta was acquitted, because of Camorra association they seized all her assets. Maresca (right) with the actress Manuela Arcuri. 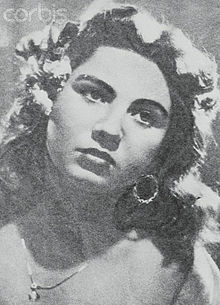 A film, La sfida, was made about her life in 1958 and she was the subject of mini-series on Italian TV, Pupetta – The brave and the passion in 2013. However, Pupetta herself has lived the rest of her years between Sorrento and Castellemarre, mainly on her own, and much more quietly these days. I have spent, over the years, a total of 15 years in prison. Since being released in June 2017 I have been using my lived experiences to help those youngsters in danger of going down the same road I did many years ago. I also write about my experiences on my personal blog Journey of a reformed man on Wordpress. In addition I am Alumni for the Prisoners Education Trust as well as part of the Alumni network group. As well as being a part of the Prison Reform Trust network group.